Join us on May 15, 2012 from 8 - 5 for our biggest event of the year! Dr. Mike Barratt began his career at the Johnson Space Center in 1991 as a project physician with KRUG Life Sciences, working on medical systems for Space Station Freedom. In 1992, he was assigned as a NASA Flight Surgeon, and in 1998, he served as the lead crew surgeon for the first expedition crew to ISS. Dr. Barratt was selected as a mission specialist by NASA in July 2000. Assigned to long duration flight training in 2005, Dr. Barratt served as a member of ISS Expeditions 19 and 20, completing 199 days in space. 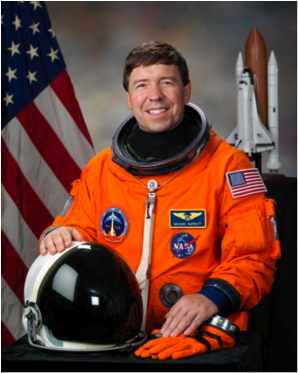 Most recently, Dr. Barratt flew on STS-133 (Feb 24-March 9), which was the 39th and final mission for Space Shuttle Discovery. Dr. Barratt currently manages the Human Research Program at NASA Johnson Space Center, oriented toward mitigating the most prominent health and performance risks associated with human spaceflight. We invite you to attend the 9th Annual Houston Human Factors Symposium to be held Tuesday May 15th at the Rice University's Engineering Center. This one-day symposium in Houston focuses on bringing together human factors and ergonomics professionals and students across Texas. This will be a forum for sharing information, case studies and new ideas within our community. This community consists of human factors and ergonomics engineers, designers, developers, designated company specialists and students in and around Texas. A variety of presentation formats have been identified to facilitate both information sharing and socializing within the group. Hosted by the Houston Chapter of HFES.